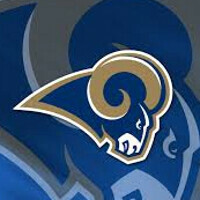 Will Google Glass help the St. Louis Rams win the Super Bowl? Could Google Glass help the St. Louis Rams win the Super Bowl next year? The Rams are using the technology to help coaches see the point of view experienced by Quarterback Sam Bradford and receiver Tavon Austin. Rams GM Les Snead sees Google Glass going beyond the field into the stands. The GM envisions special helmets being built with Glass integrated, giving fans in the stands an opportunity to really feel like they are in the game. Such video could be sent live to fans wearing Glass, or to fans' smartphones or tablets. It could even be used to send images to the giant scoreboards that populate most NFL stadiums. The University of Washington tried out something similar a couple of years ago with their QB Keith Price for a spring football game. But the equipment consisted of using a regular video camera which is a lot heavier than Google Glass is. While right now, it seems that the Rams are the only team to use GoogleGlass, watch what happens in the middle of the season. If the Rams are winning consistently half way into the regular season, don't be surprised to see a number of other teams start donning Google Glass as well. Nothing helps teams accept a new way of doing things more than watching another team rack up a few victories. If you have ever wanted to see what your favorite QB or receiver sees during a play, check out the video below. It's cool they're using glass, but they aren't winning the Superbowl. No doubt. Bradford may actually need to stay health first and develop into a clutch player second before Google glass helps them out. Trust me. I am a Tampa Bay fan. I understand the term "unreached potential"
Is Sam Bradford still their starting QB? Then NO. Saint Louis native and resident here. I think they need more than Glass it similar to get that good. Lower ticket and concession prices to fill seats and have a positive crowd would help a LOT. That said, I think the concept of POV viewing by fans and staff is a good one, if other teams aren't able to use it against them.